Discussion in 'National Politics' started by InfoWarrior, Nov 7, 2017. More than 700 Indians, including those of politicians, corporate chiefs and celebrities, on Monday figured in the leaked Paradise Papers, detailing business dealings of “the world’s most powerful people and companies” in offshore tax havens. The names started tumbling out as part of the latest global expose by the International Consortium of Investigative Journalists (ICIJ), even as several of those named denied any wrongdoing. The Indian names include Bollywood star Amitabh Bachchan, defaulter businessman Vijay Mallya, corporate lobbyist Niira Radia, film star Sanjay Dutt’s wife Dilnashin, Union Minister Jayant Sinha and Rajya Sabha member R.K. Sinha, the ICIJ’s media partner in the country, The Indian Express, said. The ICIJ, which worked with 95 media partners globally for the investigation, said it explored 13.4 million leaked files from offshore law firms, majorly the Bermuda-based Appleby, and company registries in several of the secretive tax jurisdictions. The ICIJ said the ‘Paradise Papers’ reveal the offshore activities of some of the world’s most powerful people and companies and the files were obtained by the German newspaper Suddeutsche Zeitung. It, however, put out a disclaimer that “there are legitimate uses for offshore companies and trusts”, and it does not “intend to suggest or imply that any people, companies or other entities included in the ICIJ Offshore Leaks Database have broken the law or otherwise acted improperly”. The ICIJ also said that many people and entities may have similar names and suggested that the identities of those named in the database should be confirmed based on addresses or other identifiable information. The Indian names also included those associated with the Sun TV-Aircel-Maxis case, Essar-Loop 2G case, SNC-Lavalin in which Kerala Chief Minister Pinarayi Vijayan was named and then cleared and a case against Y.S. Jagan Mohan Reddy; as also entities linked to the Rajasthan ambulance scam that names an entity called Ziquista Healthcare (with Congress leader Sachin Pilot and former Minister P. Chidambaram’s son Karti as early honorary/independent directors). Mr. Bachchan wrote a long blog on Sunday, hours before the ‘Paradise Papers’ were published, explaining that he has always cooperated with the “system”, though he did not directly refer to the latest leaks of names. Considered as one of the richest in Rajya Sabha, BJP MP Ravindra Kishore Sinha founded the private security service firm SIS (Security and Intelligence Services) and heads a group which has two offshore entities, reveals the investigation. Sinha made no mention of his and wife’s association with SAPHL in an affidavit that was submitted to the Election Commission during his nomination for the Rajya Sabha election in 2014. BJP Rajya Sabha MP Ravindra Kishore Sinha, whose name has cropped up in the Paradise Papers leak in connection with his firm’s offshore links, on Monday chose to remain silent on the matter while informing that he is on ‘maun vrat’ (silence of vow) for a week. When asked for his reaction over the issue, Sinha refused to comment over the issue but scribbled on a paper that he has taken a pledge to not speak for a week till ‘Bhagwat Yagna’, showed the ANI video. 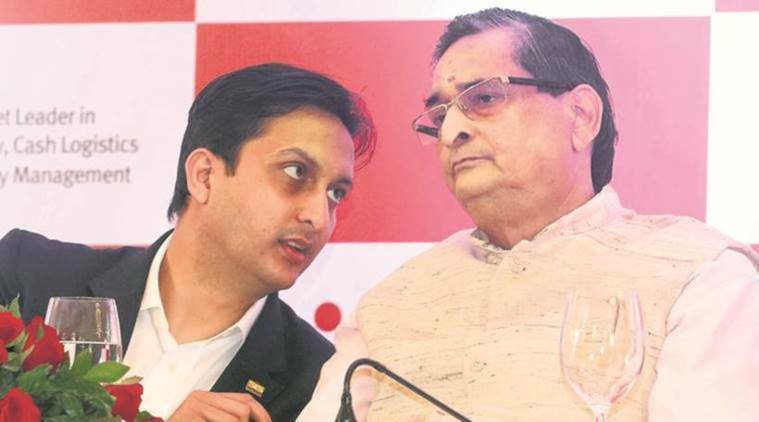 Considered as one of the richest in Rajya Sabha, BJP MP from Bihar founded the private security service firm SIS (Security and Intelligence Services) and heads a group which has two offshore entities, disclosed the investigation carried out by the Indian Express of offshore finances with International Consortium of Investigation Journalists and Süddeutsche Zeitung, Munich. As per records of the Malta registry, SIS Asia Pacific Holdings Ltd (SAPHL), registered in Malta in 2008, is a subsidiary of SIS. Sinha is listed as a minority shareholder while wife Rita Kishore Sinha is a director of SAPHL. According to the records, SIS International Holdings Limited (SIHL), a company incorporated in British Virgin Islands, holds 3,999,999 shares in SAPHL while 1 share is with Ravindra Kishore Sinha. Interestingly, Sinha made no mention of his and wife’s association with SAPHL in an affidavit that was submitted to the Election Commission during his nomination for the Rajya Sabha election in 2014. He also did not declare this link to the Rajya Sabha after becoming a member. However, in documents of SIS (India) Limited filed before the Securities and Exchange Board of India (SEBI) on August 4, 2017 , Sinha had declared his interests in all these companies. Overall, the names of 714 Indians have emerged in the largest ever leak of financial data from Bermuda firm Appleby and Singapore-based Asiaciti Trust. A bunch of documents in the Bahamas registry show that Nasjay Company Limited was set up in the Bahamas, and Dilnashin Sanjay Dutt was appointed its Director, Managing Director, President and Treasurer in April 2010. Dilnashin Sanjay Dutt is the wife of filmstar Sanjay Dutt. She is popularly known as Manyata. Before marrying Dutt, Manyata appeared in an item song in Prakash Jha’s 2003 film Gangaajal. A bunch of documents in the Bahamas registry show that Nasjay Company Limited was set up in the Bahamas, and Dilnashin Sanjay Dutt was appointed its Director, Managing Director, President and Treasurer in April 2010. She appended her signature to the agreements, and her address appears as Bandra West, Mumbai. The 2010 capital of the company is shown as $ 5,000. Pavitar Singh Uppal, described in the documents as a “real estate developer” residing in Jalandhar, registered an offshore entity in August 2016. The company, Silverline Estate Limited, was incorporated in the Commonwealth of Dominica. The incorporation documents show the company was registered on August 8, 2016 as a “profit” company, with only Uppal as Director. The parents of Ravish Bhadana live on the first floor of the family’s home in Kota. There are tenants on the ground floor. Ravish Bhadana’s whereabouts are not known. In September 2011, Bhadana was named by the Delhi Police as the kingpin of one of the modules of a fake pilot licensing scam. The Delhi Police Crime Branch claimed to have unearthed at least four modules, and arrested over a dozen pilots, besides officials posted with the Directorate General of Civil Aviation (DGCA), and middlemen. Bhadana remained absconding. The Malta registry records show him as Director/shareholder/judicial representative and legal representative of two firms, with separate registration numbers. In both firms, the same positions are also held by two Ghaziabad residents, Neha Sharma and Mona Kalwani. The shareholder of one of the companies incorporated by these two individuals is another Malta company named Mondo Tessile Holding Limited. Bhadana, Sharma and Kalwani are Directors in DICI Exports, as per RoC documents registered at a Ghaziabad address. When The Indian Express visited that address, the owner of the house, Ajit Kumar Singh, said that the two women had been his tenants, and had moved out three years ago. The Indian Express visited the listed addresses for Neha Sharma and Mona Kalwani in Ghaziabad, and was informed by neighbours that they had moved out several years ago. Attunuri and Bandi are Directors at Hetero Drugs Limited, Hyderabad, which was incorporated on April 6, 1993. Its authorised share capital is Rs 10,00,00,000, and its paid-up capital is Rs 3,45,00,000. It is involved in the manufacture of pharmaceuticals and other chemical products. The company’s Annual General Meeting (AGM) was last held on September 29, 2016, and as per Ministry of Corporate Affairs records, its balance sheet was last filed on March 31, 2016. The Malta registry data show that Attunuri and Bandi are directors of Hetero Malta Limited. They are also listed as the legal and judicial representatives of the company. RESPONSE: “The offshore accounts were opened by Hetero Malta, a purely marketing company on behalf of Hetero Drugs. I am a Director in the company so my name appears. I do not know for what purpose it was set up. As far as I know, it is still active. The company has declared it in all its financial declarations. As far as I know, the company has taken all the required authorisations from various departments for opening the account,” Venkata Narasa Reddy Attunuri said. The documents show Holtec International Ltd was incorporated in 2005 and moved for liquidation in 2007. As per the documents, the company is engaged principally in designing, manufacturing and construction of storage systems for spent nuclear fuel. Three daughters — Alpana Kumari, Anjna Kumari and Archna Kumari — of retired Chief Engineer Mahendra Singh are said to be associated with the company. According to Mahendra Singh, who lives in Patna and spoke on behalf of his daughters, Archna’s husband is a “DIG outside Bihar”, and Alpana and Anjna are schoolteachers in Muzaffarpur. Archna is the chairperson of the Bihar-based DMC Trust, which works for the uplift of poor children. DMC Trust gets “occasional funding” from Holtec International Ltd, Mahendra Singh said. Alpana and Anjna are both members of DMC Trust. Mahendra Singh said Holtec does some work related to nuclear power and is still in existence, but he said his daughters had never visited Bermuda. He wondered how their names could figure in a list of people associated with the company. RESPONSE: Mahendra Singh said neither he nor his daughters have anything to do with Holtec International Ltd. The company belongs to his nephew, he said. “My nephew K P Singh is a US citizen. He left India in 1968,” he said. Singh said he did not have the phone number or email address of his nephew, with whom he has not spoken for years. On Archna mentioning her father’s address of Lohianagar, Kankerbagh, Patna, Singh said his daughters use his name only for the purposes of communication. On his daughters’ association with DMC Trust, Singh said: “Being associated with a trust has nothing to do with the company. None of my three daughters have worked for or were associated with Holtec.” Singh said he did not have Archna’s contact details. The Malta data show that since 2011, Dipesh Rajendra Shah has played all key roles in a company called Vista Investment Holdings Limited. He is the Director, shareholder, judicial representative as well as legal representative. Documents show that in April 2011, he converted the company from a Private Limited Company to a Private Exempt Company. In the same year, he acquired all shares of the company and made it a single member company. RESPONSE: Shah said, “I had incorporated the company in Malta but it has since been wound up. All my taxes are accounted for.” He did not reply to a detailed questionnaire sent by The Indian Express. What is revealing is the fact that in the share subscription agreement signed by the companies (dated January 10, 2008) as well as in the FIPB application, NDTV News Limited is listed as a shareholder/signatory. Records show that Appleby prepared a document on May 22, 2012, when Astro was anticipating that a Letter Rogatory would be filed by the CBI to Malaysia government. On February 2, 2017, the Special CBI Court in New Delhi discharged all accused in the Aircel-Maxis case, stating that there was no documentary evidence to substantiate allegations and oral submissions. The 424-page order of judge O P Saini and hundreds of more pages of submissions, clarifications and internal company documents now form part of Appleby records since Astro, the Malaysian company implicated in the case, sought its legal advice during the six-year-long course of the case. Dayanidhi Maran was Telecom Minister in the UPA government. The principal allegation of the CBI was that the $122 million that a subsidiary company of Astro paid for taking a 20% stake in a company of Dayanidhi’s brother, Kalanithi Maran, was quid pro quo for the purchase of stake by another Astro-linked company, Maxis, in Aircel Televentures Ltd, another telecom firm. According to the FIR, T Ananda Krishnan is the common promoter of Astro All Asia Networks as well as Maxis Communications. Also, it stated, a company Usaha Tegas, a Malaysian investment company, of which Ananda Krishnan is chairman has substantial shares in both the companies and Ralph Marshall is director in all three firms. However, countering these allegations, the court ruling stated that “perception or suspicion are not enough for criminal prosecution… the perception or suspicion is required to be investigated and supported by legally admissible evidence, which is wholly lacking in this case”. The case collapsed in court two years after the Enforcement Directorate (ED) had attached properties and assets of the Marans valued at Rs 742 crore. Appleby documents reveal behind-the-scenes transactions. Records show that Appleby prepared a document on May 22, 2012, when Astro was anticipating that a Letter Rogatory would be filed by the CBI to Malaysia government. The Appleby document dated April 22, 2015 states that they “have been instructed by directors of South Asia Entertainment Holdings Ltd to carry out a due diligence on the investments made by the latter in Sun Direct TV and confirm that the investments are made in accordance with the laws of Mauritius”. The Due Diligence report prepared by Appleby mentions that the investments into Sun Direct were to the tune of $166 million and were made for downstream investment opportunities in the pay TV market in India. This document explains the structure for Astro’s investment via Astro Overseas Limited (AOL), a company incorporated in Bermuda, and registered as a foreign company in Malaysia. AOL, in turn, wholly owns South Asia Entertainment Holdings Limited (SAEHL), which is also incorporated in Mauritius and was the signatory for the joint venture which subscribed for 20% of shares in Sun Direct. 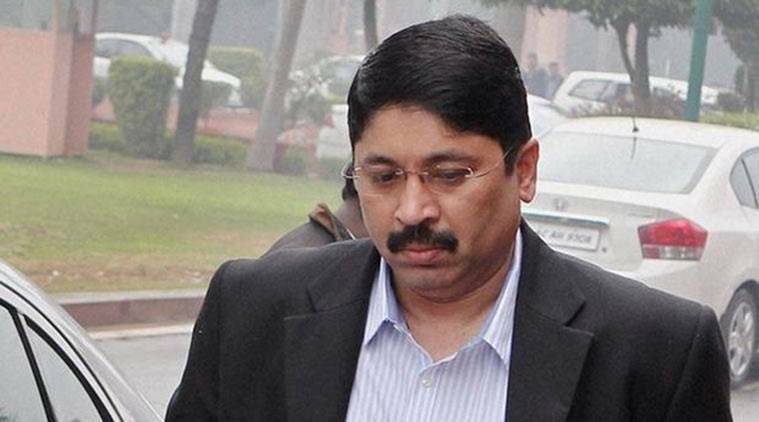 The CBI, in its FIR, alleged that Astro’s initial $122 million investment in Sun Direct in 2007 was not genuine and constituted an “illegal gratification” paid to benefit Dayanidhi Maran in return for the then Union Minister allegedly coercing Aircel’s Sivasankaran into selling his stake in the telecom firm to Maxis. What is revealing is the fact that in the share subscription agreement signed by the companies (dated January 10, 2008) as well as in the FIPB application, NDTV News Limited is listed as a shareholder/signatory. NDTV is shown to have a 1.09% stake in the company in the share subscription agreement but a 2.39% shareholding when the company applies for a 20% FDI investment. The shareholding of the other partners is listed as the follows: Sun holds the majority stake of 86.85%; Kalanithi Maran himself 0.32%; a company by the name of A H Multisoft 11.74%. It is NDTV’s corporate office address in the Okhla Industrial Area, which is given in the documents. Incidentally, Appleby data also contains correspondence between Astro’s top management and the CBI, and the exchanges begin shortly after the agency filed its FIR in the case on October 9, 2011. The role of Appleby in the correspondence is evident. In one exchange dated May 22, 2012, it elaborates how — in view of queries sent by the CBI — there was need to hold urgent board meetings of the Astro companies involved and that Appleby representatives should be present at the Board meeting. In fact, the first in the bunch of letters written by Astro officials to the CBI is by its then chairman Haji Badri Masri — it is also marked to then CBI director AP Singh — in which he distances himself from the allegations, categorising their investments in India as “legitimate commercial and business transactions”. In order to understand NDTV’s entry into FM radio in the right perspective, it is firstly important to recognise that NDTV News invested into radio companies as early as 2005, well before Sun TV/ Kalanithi Maran entered into the radio business. Secondly, NDTV News only entered as a minority shareholder as the main aim was to produce and broadcast independent and credible news on FM radio if and when it would be permitted under the regulations. Thirdly, it is important to recognise that with the aim of doing news on radio in mind, NDTV News was always a minority shareholder, NDTV News’ shareholding was less than 3%. Fourthly, NDTV News exited the radio companies in 2009, much before CBI commenced enquiry into Astro, etc. Finally, every step that NDTV News took was declared publicly to all the relevant authorities and was 100% kosher in every respect. The foray into the radio news business in 2005 by the NDTV group was a natural progression. At that point of time, the NDTV group was contemplating entering into space of airing news and current affairs programmes on radio in anticipation of policy changes permitting radio companies to enter into news business. It is factually correct that NDTV News gave a loan of Rs 8.26 crore. This loan was pursuant to shareholder’s obligation in which the shareholders of SAFL were to contribute to the funding requirement either through equity participation or through loan in proportion to their shareholding in SAFL. There was no ‘acquisition’ of 33.89 lakhs shares by NDTV News in SAFL, the existing loan was converted into 33.89 lakhs shares. It is incorrect to say that NDTV News dealt directly with Kalanithi Maran or Sun TV. NDTV News entered into the radio business much before Kalanithi Maran and Sun TV entered the radio business, as it offered a business case to allow for NDTV’s news content to reach a wider audience as and when news and current affairs content production by private companies was allowed for radio broadcast. Subsequently, a consortium of Astro and Arjun Rao group (promoters of Value Labs), who were the majority shareholders in the radio business, wanted to scale its existing radio business by partnering with Sun TV and Kalanith Maran for a pan-India radio business, NDTV News as a small minority shareholder entered into the aforesaid agreement because the majority shareholders wanted to do so. Further, note that the agreements were entered into with Sun TV and Kalanithi Maran who was not a politician — Kalanithi Maran was an established businessman with an expansive, diversified media business across India. When the majority shareholders of SAFL — a consortium of Arjun Rao group (promoters of Value Labs) and Astro entered into an understanding to be a part of larger pan-India radio business, NDTV News perforce had to also do the same, being a minority shareholder. Once again, note that NDTV kept a small stake in this radio business solely because the agreement gave NDTV the first right to do independent news on FM radio stations if and when the government allowed news on private FM radio. Also, all these agreements were made after making complete disclosures and therefore, to imply that there was something unethical about having a timely stake in the radio business seems to be an effort to tarnish NDTV’s reputation for no reason. In any event, the government did not permit radio companies to enter into news business and therefore, NDTV News exited the radio companies in 2009. As regards your question of disclosure of this investment in income tax computation, as per every professional and our understanding of income tax laws, investments made are capital in nature does not enter income tax computations. NDTV News filed its annual tax returns, fully as per law. Please note that NDTV News exited agreement and was no longer part of the FM radio company long before there was any CBI enquiry into Sun TV-Astro which makes it clear that NDTV’s exit and the CBI enquiry had no connection at all. The cost of radio business in India was demanding — cost of music library licenses and annual radio license costs and other financial demands of the radio business in India, required significant funding. Most importantly, with uncertainty around any change in the radio policy concerning airing of news & current affairs content by private radio broadcasters and the funding requirements of the SAFL radio business, a commercial decision was taken in ordinary course to exit in 2009. There are legitimate uses for offshore companies and trusts”, and it does not “intend to suggest or imply that any people, companies or other entities included in the ICIJ Offshore Leaks Database have broken the law or otherwise acted improperly”. The annual report of Hindustan Times Limited for 2003-04 lists Go4i.com (Bermuda) as a subsidiary and shows that the company did not have any shareholding in the Bermuda-based entity. Asked to provide the certificate, Appleby top brass decided against it. One email said Rory Gorman, then managing director of Appleby Fiduciary Business (Bermuda), “has an objection and is not prepared to sign the attached form”. Appleby data reveal earlier links of the Network 18 Group to four offshore entities — three of which have been listed in balance sheets by the company as subsidiaries. The loan, Appleby records state, was “indirectly backed by 46 million fully paid up equity shares” of Zee held by Essel Holdings Limited (EHL), making prepayment necessary “upon fall in stock price of Zee by more than 40% since inception”. According to Appleby records, BVML is the holding company for Mytrah Energy India Limited (MEIL), incorporated on November 12, 2009 as Caparo Energy India Limited, which changed its name to MEIL on September 27, 2011. When contacted, Seth told The Indian Express that he kept the shares of Biosensors for three years and made a profit of Rs 54 lakh on them when he sold them. Legitimate does not mean moral. Using loopholes may be legal, but they are no longer moral or nationalistic. Basically they found a legal way to steal rightful tax money. but it has implications in elections and reputation as being nationalistic. Now we know that these people are not nationalistic like they claim, and will steal if theft is legalized. A honest patriotic person will not use loophole to legally steal stuff. Anti corruption laws are same for everyone ,a individual,celebrity,businessmen ,politician or a street dweller,everyone's goes through the country's judiciary system.criminals should be always punished. Chinese making 'friends' as usual!